"Rural Scene with a Village and a Church Spire"
Oil painting from the Fine Art collection. 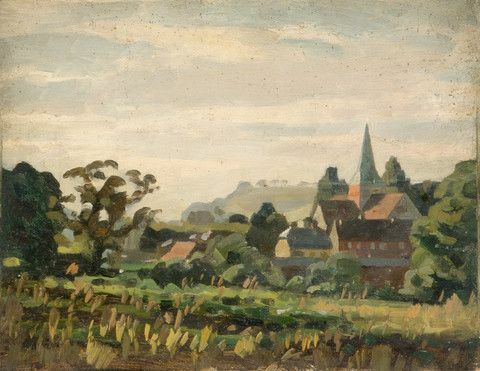 Rural Scene with Village and Church Spire" by William Gunning King, showing a view of a landscape with village in the background. c.1930.